So, the opportunity has arisen to do some DIY. My intention is to renovate an old pine chest of drawers that has been unfortunately uglified by some gold spray paint over varnish. As you can imagine, over time the spray paint has scratched off and the poor chest of drawers look quite...ratty. I think the design above is really simple but striking. I would probably do the design in white or another neutral colour to give the option of colour scheme changes. 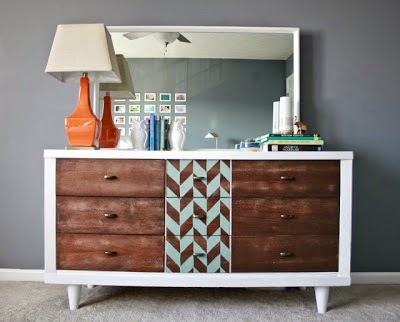 The drawers above are really striking because of the panel of chevron. 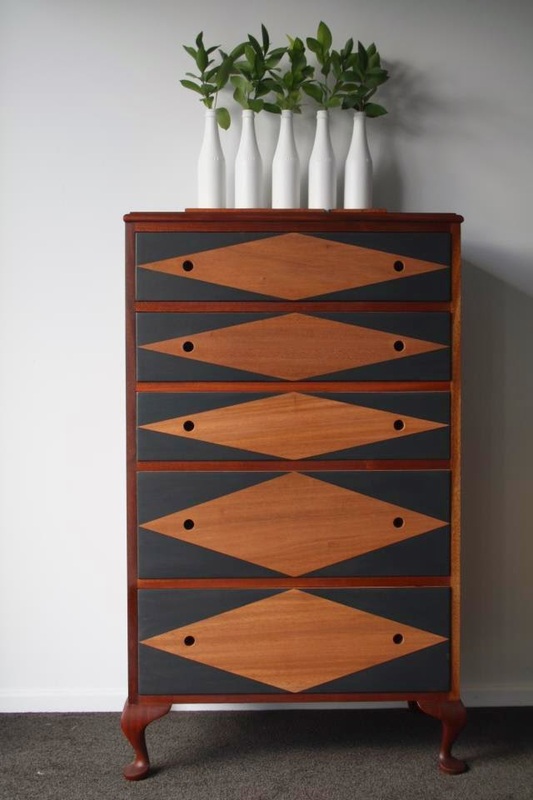 It may be nice just to do one of the drawers with this pattern? The set of drawers above I really like because of the almost Art Deco vibe. 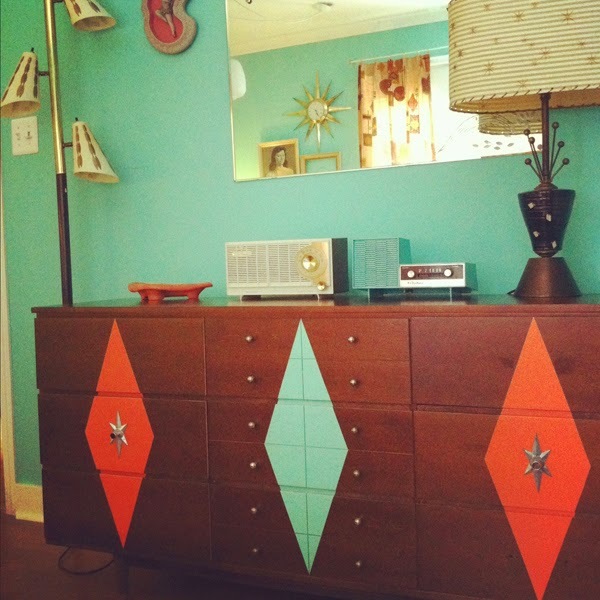 The piece I plan on renovating also has unusual handles that might suit this idea. This design reminds me of some sort of game board. 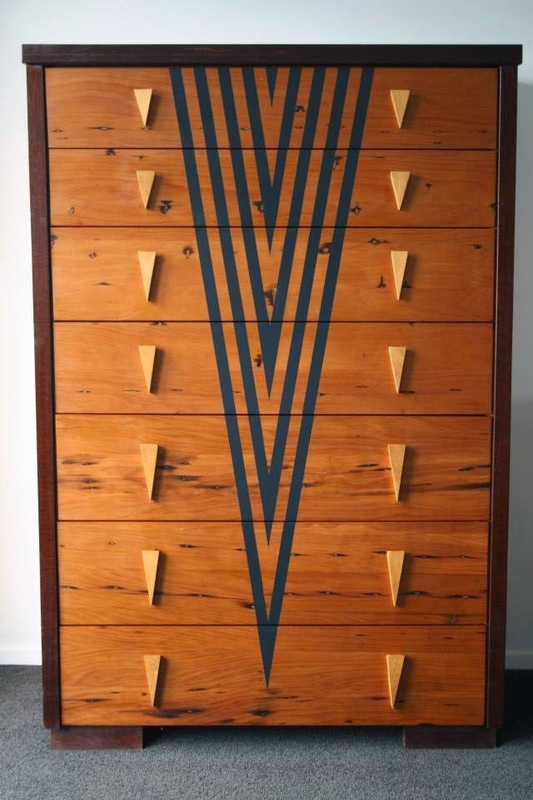 I really like it, although all the drawers I have are all the same size. Would it have the same effect? ooooooh I'm excited! My bedroom has white walls, light grey curtains, dip dye black duvet cover, b&w fur pillows & spread. I also have wooden furniture (light browns) which matches my one light brown fur pillow. And mirrors, I have two, one a full body one with a think dark wood frame and my dresser mirrors. And don't forget my drip stand! My carpet is dark blue as is the door and the cupboard but these are not noticeable.